This tutorial shows you how to create a wonderful melted effect using the PicsArt app. A melted effect is a skill to add two photos to a picture. Hello! 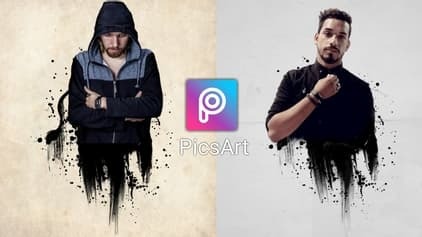 Welcome to picsart tutorial of crazy tips. At the above video is a preview of the Melted effect manipulation. video me have design melted manipulation with photo and provided double exposure effect. you can use any black splash Image. In this video, I have used a black splash background download link below the post and used images to create a melted paint effect. if you do not understand about this tutorial.